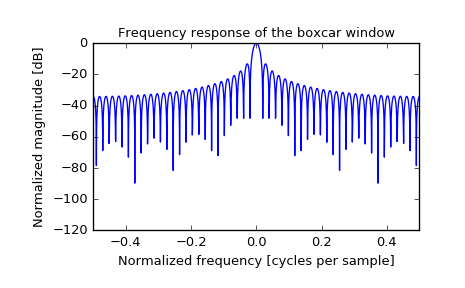 Return a boxcar or rectangular window. Included for completeness, this is equivalent to no window at all. 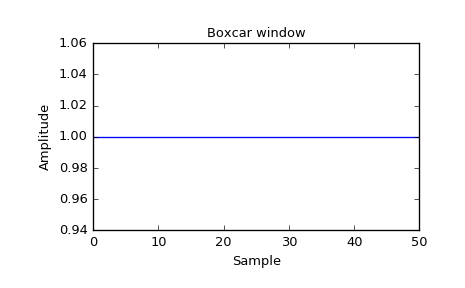 The window, with the maximum value normalized to 1.